WhatsApp stickers is one of the most popular options to send wishes to friends and family on festivalsI, especially India where the messaging service has over 250 million users. For those looking to send Holi stickers on Whatsapp can download third-party sticker packs. 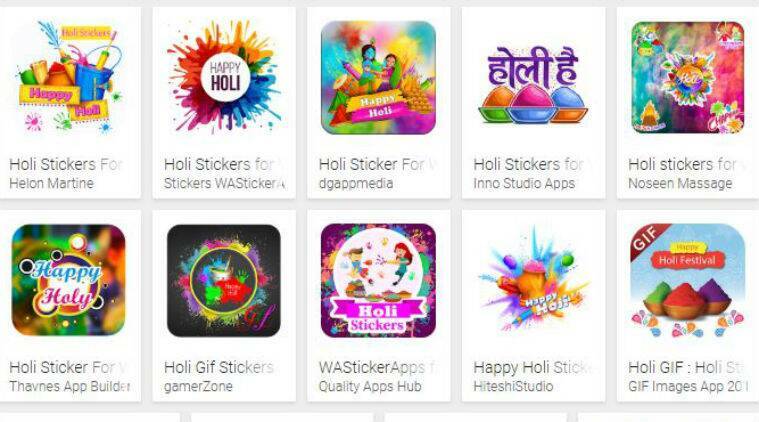 Here is how to download Holi sticker packs on WhatsApp. To install stickers for Holi wishes, open the WhatsApp and tap on the emoji icon next to typing space. You will see three options — emoji, GIF, Sticker — at the bottom. Tap on the Sticker icon. You will see a plus button to the right, tap on it and scroll through the available stickers to add into WhatsApp.